2 weeks from Halong Bay in the North of Vietnam all the way to Angkor Wat, at the far end of Cambodia, with all the greatest stops along the way. 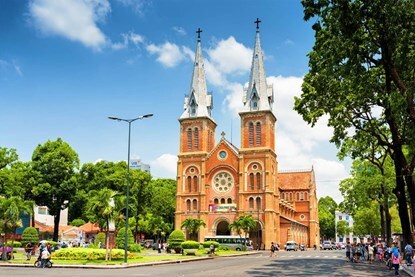 The best cities, beaches, culture, history, and food, this dual country tour doesn’t miss a single aspect of the life or landscapes in Vietnam and Cambodia. With 4 world heritage sites included, we are pretty sure that UNESCO had to agree, this tour is packed full off amazing spots. It’s just the right amount of time in each country. We love this tour and we are very confident you are going to love it too! 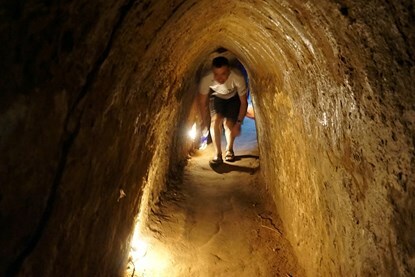 Vietnam Cambodia: Includes Hanoi, Halong Bay, Hoi An, My Son holiland, Ho Chi Minh City, Cu Chi Tunnels in Vietnam, Me Kong Delta! Includes the Killing Fields Tuol Sleng museum in Phnom Penh, Angkor Wat, Angkor Thon in Siem Reap! Staying in all the best hotel in area:Classic Street Hotel in Ha Noi, Hoi An Garden Villas in Hoi An, Ruby River Hotel in Ho CHi Minh, King Grand Boutique Hotel or V Hotel Phnom Penh in Phnom Penh, City River Hotel or Motherhome Inn Hotel in Siem Reap. Pick up from the Noi Bai (HAN) airport and then transfer you to the hotel in Hanoi Old Quarter – the most exciting place for tourist. 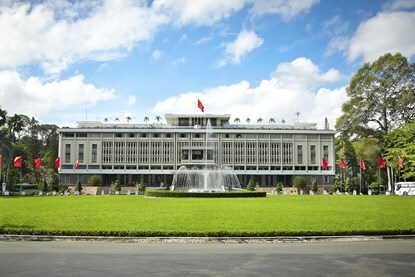 After that you are free to visit Hanoi City by yourself. Our people will greet and brief all information around the trip. Train arrive on the next day. 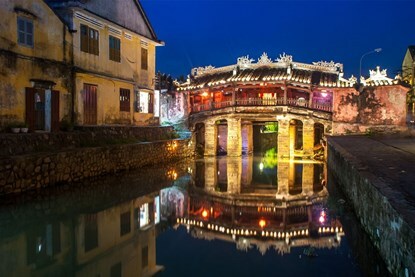 We will pick up and transfer to Hoi An Ancient town. Check in hotel in the ancient town and relaxing. Pick up from the hotel to bus station, Bus starts at 7.00 am and drive to Moc Bai border gate to enter Cambodia (bus time 6 – 7 hours). 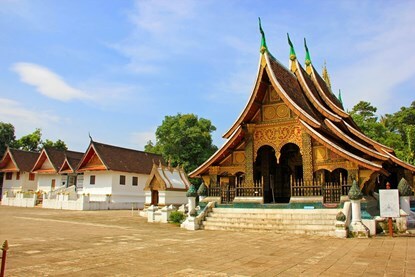 You will get visa on arrival with the help of bus crew (on request) for you to pass Cambodia. Bus station pick up and check in hotel in Phnom Penh - King Grand Boutique Hotel. Private tour: Visit the Tuol Sleng Prison Museum and the notorious 'Killing Fields' of Choeung Ek, which will give us a deep insight into the painful bloody rule of the Khmer Rouge. Lunch at local restaurant. We will have time this afternoon to explore Psar Toul Tom Pong, also called the “Russian Market", where anything and everything is for sales. Later this afternoon, we will take one hour boat cruise on the Mekong river. Transfer by private car to take a bus to Siem Reap; time on bus will be 6 hours. Private pick up and chick in hotel in Siem Reap - Claremont Angkor Boutique Hotel. After lunch, continue your journey to Angkor Wat Temple - one of the seven greatest architectural wonders of the world, built in between the 9th - 13th century, Before you end the tour, make a visit to Bakheng Hill for its beautiful sunset. After breakfast, free at leisure till the time for you to be transferred to the airport for your flight back home. Note: Finish tour in Siem Reap. Not included flight out ticket. 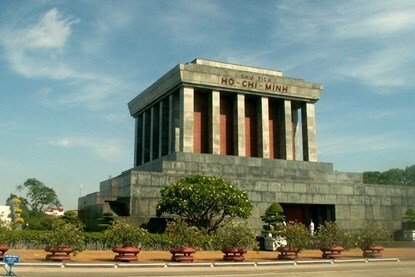 Airport transfer private car in Hanoi, Danang airport, HCMC airport, Phnom Penh, Siem Reap. High Season surchage will be applied if your travel date is on Nov, Dec, Mar, Apr : 30 USD/1 person.